Home » IPod Touch » Have You Experienced Error 2003 in iPod? Learn How to Fix it Here! Have You Experienced Error 2003 in iPod? Learn How to Fix it Here! Like any other devices out there, iPod does not exclude itself from getting errors. These errors can be triggered if the users have done something wrong or they have not met the requirements that are outlined on the device’s firmware. One of the errors that any iPod fans can encounter is the error 2003. Error 2003 is actually an iTunes error. Itunes is a media application developed by Apple Inc., iPod’s manufacturer, which can play various files stored in the device. Through the iTunes, iPod users can also tweak or update their devices whenever they want to. They can also reformat their iPods through it. Aside from reformatting, iTunes serves as a great file manager not just for iPods but other Apple Inc. devices such as iPad, iPod Touch, and iPhone as well. Connection problem; change USB cable and check USB port. Sn0wbreeze IPSW failure to restore; unplug and plug iDevice and try again. Obviously, users can encounter error 2003 when they are trying to restore their iPod. The iTunes will prompt the error message because the connection between the application and the device cannot be realized because either the USB cable or USB port is a problem. If you don’t know what a USB cable and port is, see the images. If you wanted to know how to fix iPod error 2003, you need to follow the below tips. Connect your iPod in other computer port. I assume that your computer have two or three built-in USB ports. 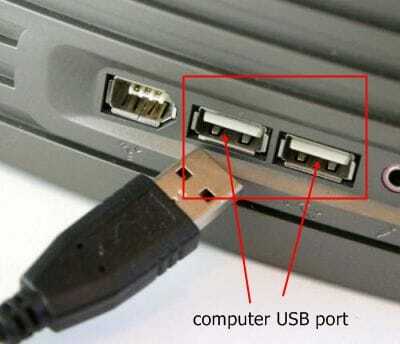 To test whether your computer port is working, try connecting other devices like flash drive in the USB port. If it works, your USB cable might be defective. Try restarting your PC or laptop and then plug the iPod directly to the USB port. Avoid using hubs or data cable extensions; plug the iPod right through the computer or laptop. If the problem still exists, try using another iPod USB connector. 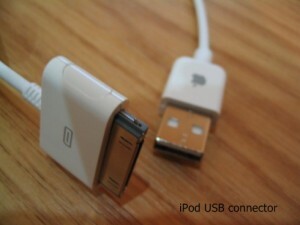 Plug your iPod using the new USB cable and synch it with the iTunes. Avoid connecting too many devices at the same time. Disconnect printers, scanners, and digital cameras attached because it might provide conflicts to your device. Make sure you have the latest version of the iTunes application. You can download the latest iTunes at http://www.apple.com/itunes/download/. The latest version as of this moment is the iTunes 10.31. Turn off and turn on the iPod and plug it afterwards. Likewise, ensure that the appropriate driver for your iPod is installed on your computer. You may also need to update your driver if needed. Check the security settings of your computer, iPod and iTunes. See if connecting iPod to the computer is allowed under your current security settings. Update and run your antivirus software. Viruses might have interrupted the process without you knowing it. Remember, before you want to reformat your iPod, you need to create backups of the files you needed first.